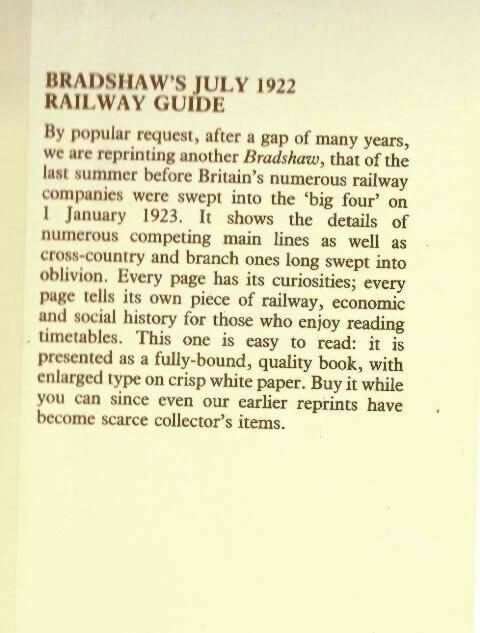 Bradshaw's Railway Guide - July 1922. 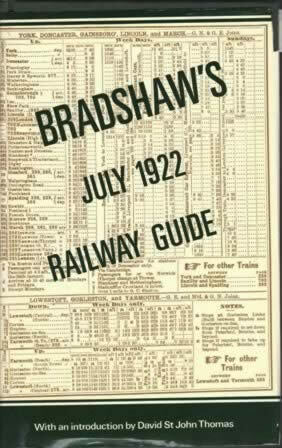 This is an edition of the July 1922 issue of Bradshaw's general Railway and Steam Navigation Guide for Great Britain and Ireland. This edition has an introduction by David St John Thomas, and has been published by Guild Publishing.